Though I have done it countless times I am always amazed when a straight. 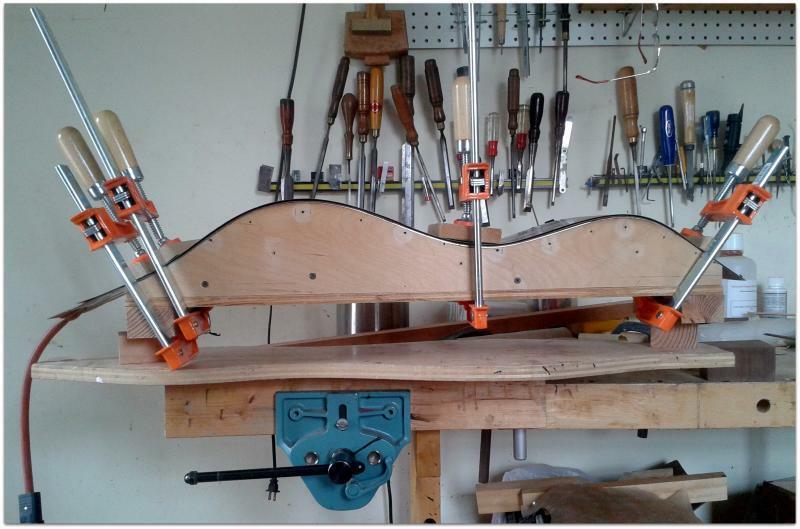 flat, piece of wood turns into the curved shape of a dulcimer. Heat and moisture make wood pliable. It’s that simple. 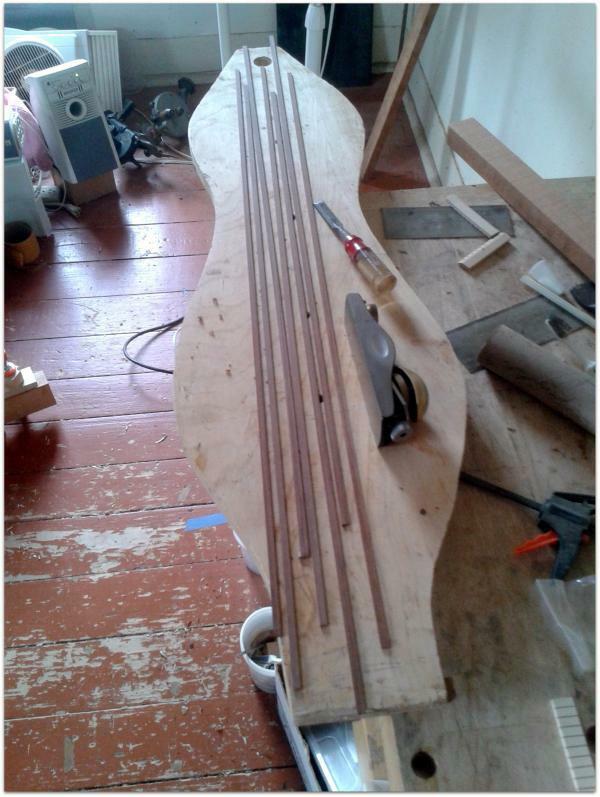 Today I bent bubinga binding for two dulcimers in the works. After sawing bubinga into appropriately dimensioned strips I clean and true the surfaces with a low angle block plane and trim them to length with a chisel. 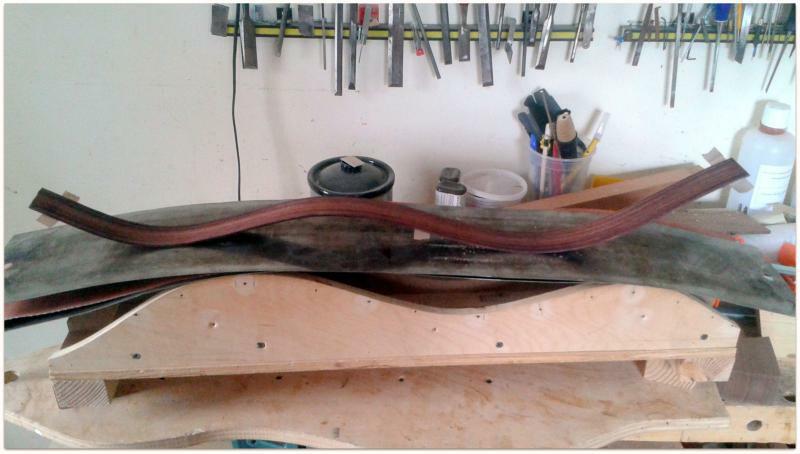 Here is beautiful bubinga binding before being bent. Can you say “beautiful bubinga binding before being bent” three times fast? A quick spray with distilled water and the beautiful bubinga binding strips are taped together so they are easy to manage when going into the heated bending form. Since these will all be bent to the same shape this is a quicker method than bending them freehand on a hot pipe. Here they are in the bender. Though you can’t see them in the bending form I assure you there is beautiful bubinga binding being bent. And last but not least here is bent beautiful bubinga binding!